The Central Bank of Nigeria (CBN) Wednesday announced that entry for the competition on the ECOWAS single currency name and logo will close on 20 November 2018. 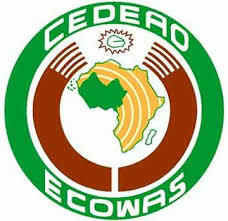 The competition which generally aims to receive proposals on the name and visual design of the future ECOWAS currency will select three best proposals for the name of the future currency and three best proposals for the logo of the currency. The adoption of a single currency is necessary for the implementation of a monetary integration goal of West African states by year 2020. Although economic experts and leaders, including Nigeria president Muhammadu Buhari have kicked against a speedy implementation of a single currency, in view of the low level of preparedness amongst many countries in the region, others such as Nana Akufo-Addo, the Ghanaian president, has been quoted as saying member states should ensure that the single currency be introduced by year 2020. Sanusi Lamido Sanusi, former governor of the Central Bank of Nigeria and currently the traditional ruler of the emirate of Kano, had earlier in the year said that “before member states begin to move forward on a single currency, traffic and trade must be improved“. He further noted: “The transaction costs that you save and losing monetary independence do not justify a single currency if the trade is less than 10 percent among member countries”. Meanwhile the CBN stated that the best three proposals for both the single currency name and logo attracts an award of $10,000, $8,000 and $5,000 for the 1st, 2nd, and 3rd best proposals respectively. The competition is open to all citizens of ECOWAS member states regardless of their place of residence and legal persons established in an ECOWAS member state in line with its laws. Other conditions indicated in the terms of reference for the competition published on the official website of the CBN further specifies that the proposals for the single currency name meet the following requirements. For the single currency logo, the required specifications states that “it shall reflect the people’s aspirations contained in the ECOWAS Vision 2020; that it shall not be confused with or have a graphic link with existing logos, symbols and national emblems of religious images or symbols.